Guest post by Allison Errickson, CPC-H, director of coding compliance, ProVation Medical, with Wolters Kluwer Health. Never before have effective revenue cycle management strategies been so critical to future positioning in hospitals and health networks. In today’s lean environment of declining and unpredictable reimbursement, effective oversight of timely billing practices can simply be a make or break element to success. Because the revenue cycle is dependent on the time-to-bill for procedures and diagnostic care, healthcare organizations must enact processes to support the most efficient coding practices to speed receipt of payment. Success in this area remains an obstacle for many organizations struggling with how to allocate limited resources to ensure the most accurate coding and efficient turn-around. Denials plague the industry in terms of maintaining consistent cash flow. Inaccurate or incomplete documentation can impact as much as 5 percent of revenues if a healthcare organization is experiencing denial rates of 25 percent or more. Revenue is also negatively impacted when documentation does not support the highest level of acuity, minimizing reimbursement potential. While accurate documentation remains an ongoing issue, resource allocation to effectively address the issue will likely be further impacted with the introduction of ICD-10. The industry has been granted a reprieve with the recent deadline extension of Oct. 1, 2015, but the reality of the transition will be coming into focus very soon. 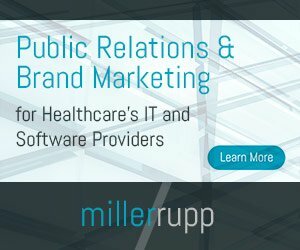 Coding challenges will be exacerbated as coders will now have 72,000 unique procedure codes to choose from, increasing the complexities associated with specificity and accurately coding to the highest level of reimbursement. For many organizations, the answer to these challenges and other common obstacles associated with accurate coding is the deployment of automated procedure documentation and coding solutions to support adoption of same-day billing practices. Built on a foundation of structured reporting, these solutions streamline processes, minimizing the draw on resources for revenue cycle management and ensuring complete, accurate records that can be billed at the highest rate of return. Organizations are realizing significant return on these investments as revenue cycles are reduced from weeks or months to just days, and sometimes minutes. The vast majority of issues impacting achievement of efficient revenue cycles across the industry can be summed up in two words—manual processes. For years, coders have been faced with frustrations associated with unclear or illegible dictation and transcription. The resulting outcome is either a delay caused by needed follow-up with physicians or guesswork that can produce detrimental outcomes, namely denials. Historically, the process of querying physicians for clarification has been marked by challenges. When follow-up questions are presented to physicians’ days or weeks post-procedure, the likelihood that events will be recalled accurately is diminished. Also, time-strapped physicians often do not often respond immediately, creating inefficiencies and bottlenecks in the revenue cycle. Further, staff working in documentation, billing and coding often work in silos, creating inconsistencies that can lead to inaccurate coding. Manual workflows for traditional dictation and transcription add complexities to the process in that documentation may not always lend to coding at the highest level. Simply put, manual processes open the door for greater incongruity and more errors, creating delays that trickle into every step of revenue cycle. Because denied or rejected claims can add 60 to 90 days to the payment process, healthcare organizations become limited in their ability to effectively manage cash flow. Automation — it’s a term in healthcare that has become synonymous with the ability to improve processes for greater accuracy and efficiency. For revenue cycle, many organizations are turning to structured reporting technology to automate procedure documentation and coding, ultimately streamline billing and reimbursement for an improved bottom-line outlook. By providing step-by-step guidance for physicians as they move through the documentation process, these solutions not only improve accuracy but ensure that documentation matches requirements for coding to the highest level. Reminders are provided to physicians regarding key elements of procedures that need to be included in documentation, and complete procedure notes and appropriate reimbursement codes are automatically generated to eliminate the potential for error. All of this is done without the need for traditional dictation and transcription functions. Once a foundation of automation is established, healthcare organizations can design processes that support same-day billing practices. While automated procedure documentation and coding solutions can easily improve time-to-bill by weeks and months for most organizations, it is also possible for procedures to be billed within hours or minutes of completion. For instance, a large not-for-profit medical center in Portsmouth, Ohio, has been able to maximize the potential of same-day billing after making the decision to implement a best-of-breed procedure documentation and coding solution. While the organization had long used cardiology-specific procedure documentation that provided cardiologists with a documentation diagram, physicians did not have access to the granular detail required for certain cardiology procedures. The resulting outcome was that the coders often did not have the documentation required for accurate coding. Today, the organization is realizing notable improvements in documentation quality and time-to-bill—ultimately reduced from days and weeks to just minutes. Accuracy of cardiology reports has been heightened and confidence in revenue cycle is greater. It’s no secret that the coming transition to ICD-10 poses unprecedented challenges to coders. Challenges to revenue cycle are expected to be compounded following the introduction as the granularity required under the new system increases opportunity for error. As healthcare organizations consider current needs for revenue cycle improvement, they should be forward looking as they devise strategies that support accuracy of documentation and coding under ICD-10. This effort should begin with a foundation of structured reporting solutions that provide for automated procedure documentation and coding.